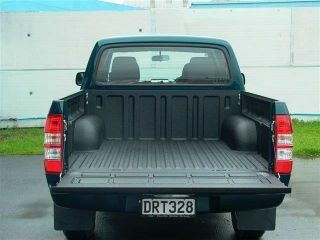 Speedliner is the world’s strongest product for spray on ute deck liner with a vast range of colours. Speedliner can be used underneath hot rods, custom cars to protect under guards, eliminating star cracks in your paint work and for a quieter ride and protect your valued vehicle. By using Speedliner Top Coat over Speedliner 1000, the gloss allows for easier cleaning and allows us to spray any colour, metallics, pearls which can be matched to your vehicle.